As it was getting dark and we all wanted to visit the beautiful Dal Lake, we decided to spend the night in Srinagar, in the house boat of the Dal Lake. We had dinner at a local dhaba, and headed for the Dal Lake, to relax for the night and enjoy an overnight stay in the Houseboat. 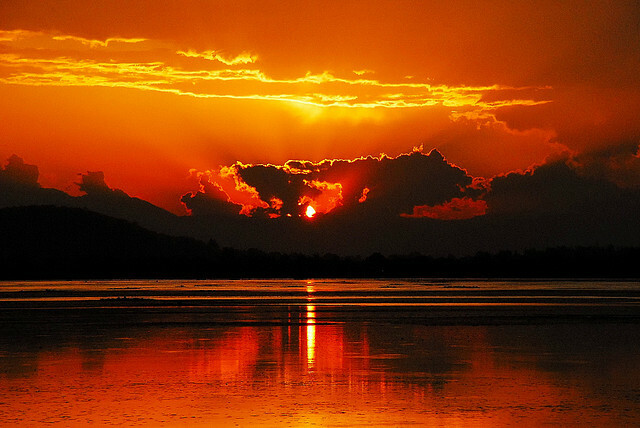 We reached the beautiful Dal Lake, and its beauty was accentuated by the orange rays of the sinking sun. From the shoreline, we could witness the scenic view of the lake that included Mughal Gardens that were built during the sovereignty of Emperor Jahangir, the houseboats and the colorful shikaaras sailing in the lake. A recent addition to the beauty is the ‘Royal Springs’ golf course. We quickly selected and booked a houseboat for the night. 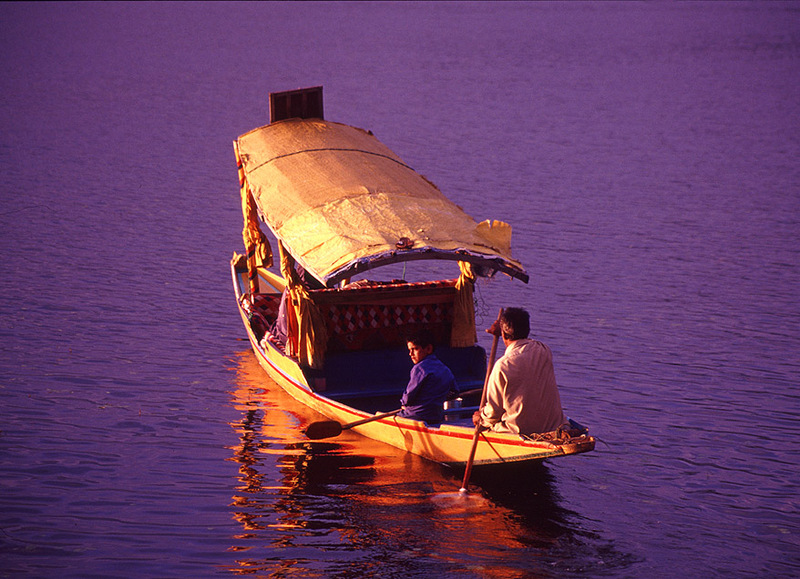 An overnight stay in the shikara is an experience of life time. Our houseboat consisted of a front balcony, a beautiful drawing room, a royal dining room and two decent bed rooms with attached toilets. We were feeling like kings on the splendid, well furnished boat sailing in water sparkling with the reflection of lights.The houseboat had wooden walls that were efficiently carved with hand. Almost every inch of the wall and furniture was decorated with the carvings. Though it was cold outside, the boat was cozy enough. A whole market was sailing in the water with the boats carrying the daily need items and small accessories, selling their goods from one houseboat to another. We were awake whole night on the houseboat talking and enjoying the surroundings.The hospitality of the staff on that houseboat was excellent. With the rising sun, we witnessed the eternal beauty of the lake. The beauty of the place is beyond any expression of the words. It can only be experienced like we did. We spend the entire morning in the Dal Lake. There were boats with flowers sailing over the calm water. The experience was worth cherishing for the rest of our lives. 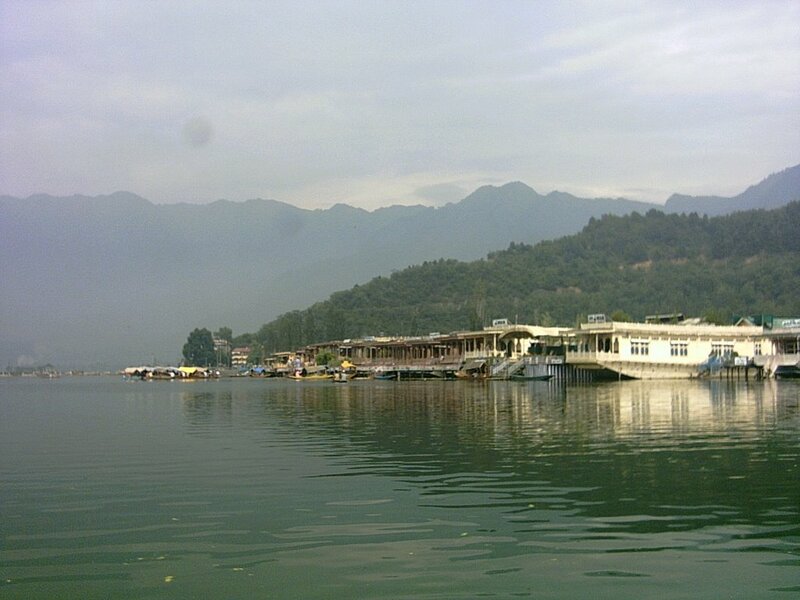 I would recommend every visitor of Jammu and Kashmir to spend a night in a fabulous houseboat. 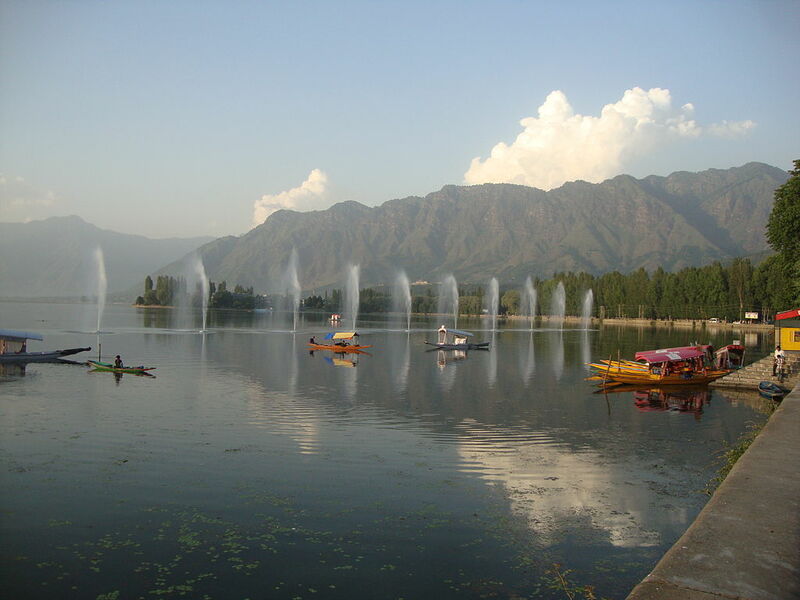 This entry was posted in Attraction, Tourist Place, Travel and tagged dal lake srinagar in jammu & kashmir. Bookmark the permalink.